← Come out, damned spot! It’s the end of February, and our oldest daughter is nearing the end of her nursery school experience. What a ride it’s been. Now she and her classmates are learning the “goodbye, our nursery school,” song which they will sing at the graduation ceremony in March (yes, like every school at every level of Japanese education, nursery schools have graduation ceremonies…verrrry different from US nursery schools). The song refers to yet another rite of passage for 6 year olds: the “Dutch backpack” of Japanese elementary schools. Back in September, we had already bought a school desk for our daughter. She’s only used once or twice — and to be honest probably won’t use it too terribly much for a couple of years, especially since she will be doing most of her elementary school homework during gakudo (a topic for a future blog post!) — but, like the graduation ceremony, the desk was a rite of passage. 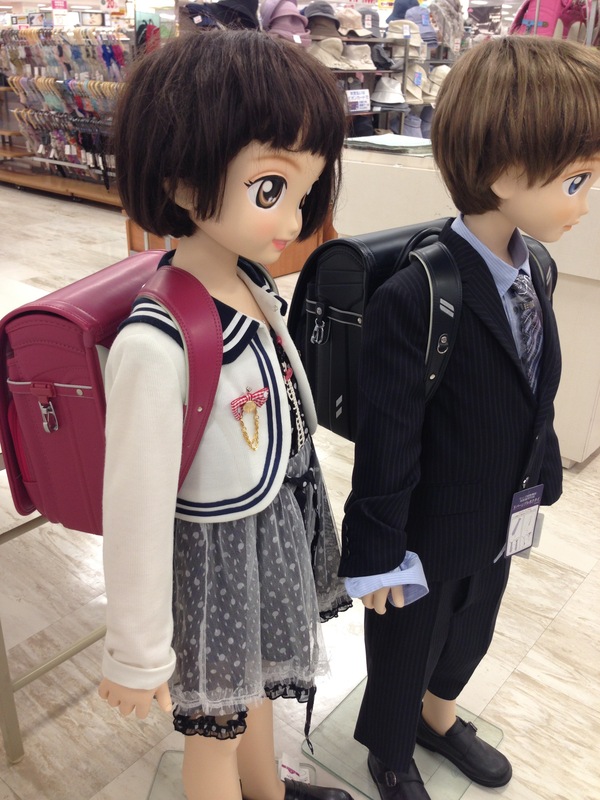 The “Dutch backpack” ransel (randoseru in Japanese) has a long history in Japan. It was originally used by soldiers in the newly-formed Japanese Imperial Army at the end of the Edo Period and through the Meiji Restoration. In the 1880s the backpack was recommended for use by Japanese elementary school children, particularly at Gakushuin (which is where the Imperial family and high-ranking bureaucrats typically send their children). Most Japanese of course are not and were not as wealthy and privileged as the elite of society, so the randoseru didn’t catch on until in the 1950s. In typical Japanese fashion, once the fashion caught on, every school up and down the country required their students to have a randoseru. The bag is pretty big for a 6 years old, but the bag is designed to be used for six straight years of elementary school and is well-designed. In some schools red is required for girls and black for boys; our local elementary school is more open (it doesn’t even require school uniforms! ), so our daughter told us from the beginning that she wanted a “pink princess” bag — to match her favorite “Princess Pretty Cure” anime character (yet another future post, probably). The price is what made me nearly gag. At a local shopping mall, the cheap bags were in the 25,000 to 30,000 yen range (US $300 to $325). The more expensive varieties ranged upward of 120,000 yen ($1,300), with a majority costing from 45,000 to 65,000 yen ($500 to $700). Three guesses which kind of randoseru our daughter initially wanted. Luckily we were able to talk her down, but we still wound up forking over (IMHO) way too much money for a simple school bag. And we had to order it far in advance (back in October, for an April school start) to make sure she could get one in time. This entry was posted in education, Japan, Japanese culture, Japanese society, parenting, school and tagged child education, child-raising, Japan, Japanese, Japanese customs. Bookmark the permalink.